AWS services are your reliable waterproofers in Melbourne, Perth and Sydney. Our experienced and qualified waterproofers are trusted by Westfield & the Government (View some of our significant projects). AWS Services will install the right waterproofing solution for your needs, at a price that suits your budget. Water leaking into a structure can cause severe damage. Water intruding into a building’s structure can create a variety of problems, such as mould and bacteria. Moisture can add to the deterioration of wooden support structures. Proper waterproofing is essential to prevent the above issues but more importantly an experienced company that can find, identify and resolve your issues is where AWS stands out from the rest. We service all areas in Melbourne VIC, Perth WA and Sydney NSW. 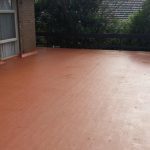 If you require any residential waterproofing solution Call us on 1300 66 5325 or fill out our obligation free Quotation request form. There are many products designed to keep water away from structures. Whichever product is used, proper installation is the key to ensuring it will do its job efficiently. Installing the product correctly will also save the building owners from dealing with countless problems a failed membrane can cause. High moisture content develops into cracks, mildew, wet basements and rot. This can mean significant damage to the foundation, ultimately affecting the well being of the rest of the structure as it spreads. This is why installing the waterproofing product properly is so important. 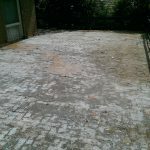 The foundation of your property must be kept dry as possible. Advances in technology have made methods of waterproofing membrane application more effective and less expensive. Protecting the structure of your building is essential to preserve your investment and the resale value of your property. When applying a waterproof membrane or injection system it is important that you are aware of the direction and flow of water during heavy downpours. Our waterproofing services include redirecting the flow of water away from the property. This may require modifying the sloping and fall around the structure. It is best to have a professional assess the situation. They will be able to suggest the right method for your structure and your budget. Prevention is always better than having to repair the whole situation, even if the problem is not apparent. It pays to protect your structure with a waterproofing membrane. AWS install the best waterproofing membranes for the situation at hand. Each situation is different in regards to what membrane we use or recommend on your project. AWS carry a large variety of membranes, as we believe that no membrane can be used in every situation. On balconies, retaining walls, rooftops, etc. that are not heavy traffic areas, we recommend acrylic membranes. 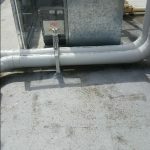 AWS Services will ensure caulking on expansion joints and use bonding tape on all joints to ensure the membrane performs to its desired effect. AWS apply all types of torch-on membranes. We install mineral or straight one-layer torch-on membranes. The most common failures are the detailing of penetrations and the overlapping of edges. AWS primes the area and looks at each detail prior to applying the membrane. By following this approach we ensure a high quality outcome. Torch-on is still one of the best forms of waterproofing. 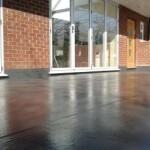 It is thick bitumen that enables heavy traffic and prevents UV rays from damaging the membrane. Learn more about our top waterproofing membranes. 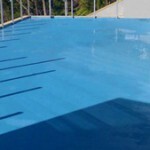 AWS Waterproofing operates in Melbourne, Perth and Sydney. For a FREE QUOTE, contact us on 1300 66 5325 or use our online quote form. 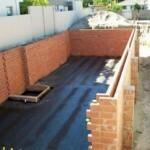 For Commercial and Industrial waterproofing visit www.awsservices.com.au. 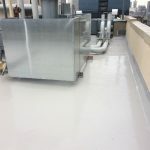 The integrated company of choice, for many major builders, and the general public, seeking quality waterproofing, tiling, concrete repair works, and general trades and services. AWS is a leader in our industry, as we strive to perform at our peak. We love to help our customers reach their building goals, or solve any building issues they may have. We consistently look for better products and better systems to ensure the best outcomes for our clients, our team and the environment. We offer the highest quality materials, and our highly trained technicians, are qualified to undertake any task within our industry. Our solutions will save you time and money.